Sweeney %26 Sheehan is a litigation firm with a strong foundation in Pennsylvania and New Jersey. Our work for them began with a capabilities piece and expanded to a newly designed website. 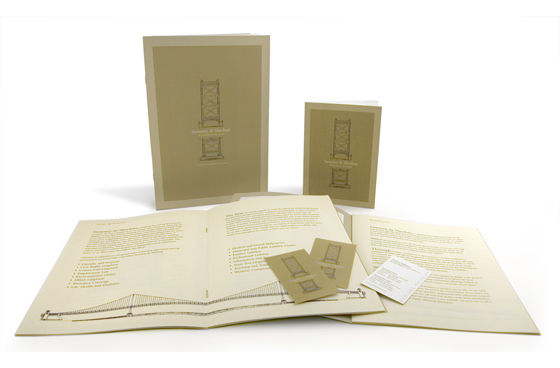 We utilized the metaphor of a bridge - in this case the Benjamin Franklin Bridge - to connect the firm's skills and services to both of the states where they are licensed to practice law. 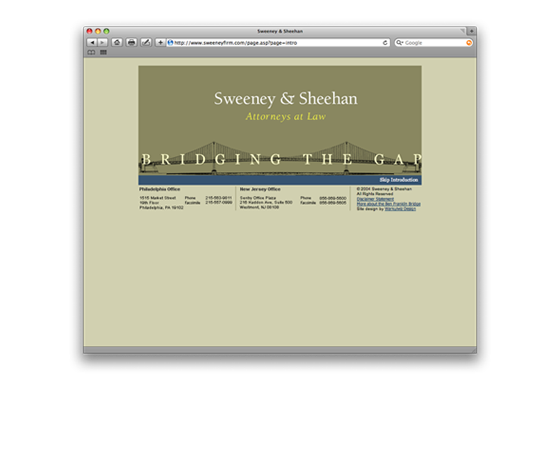 The opening sequence to the firm's website, www.sweeneyfirm.com animates the bridge as a structure while displaying their firm's credo "Bridging the Gap"